The allure of Bulgarian training methods is now almost cliche, but Leo Costa, Jr. experienced them firsthand. He shares his knowledge in the new book Automatic Fitness. Twelve years ago, Leo Costa, Jr. set off for southeast Europe with 25 North Americans to study the secrets of the world-renowned Bulgarian weightlifting team. What Costa learned on that expedition forever changed his view of training science. Costa ingested the unorthodox techniques used by the Bulgarians and implemented the theory to develop Micro Circuit Training. MCT forms the foundation of Costa's new book Automatic Fitness. It details how to crush personal barriers, overcome pesky plateaus and attain the best physical condition of your life. Best of all, MCT involves simple, timesaving moves that can be performed by anyone, young, old, small or large. Bodybuilding.com sat down with the author to learn more. Bodybuilding.com: How were the 26 North Americans chosen, and how did the trip change your life? Leo Costa Jr.: We submitted a biography to Dr. Ed Enos from Montreal, Canada. He was the person in charge of these tours. Twenty-six of us from all over [North America] met in Montreal. The trip changed my life. The Bulgarian-coined terms like "body becoming its function" and "warming up is a waste of energy" are just two examples of many. I've since implemented their philosophies throughout my bodybuilding career with astounding results. You say you learned more during that 3-week period in Bulgaria than at any time before in your life. Will you elaborate? Bulgarian techniques were controversial, but they were tried and tested in the gym. They always believed in application before theory. For example, they didn't believe in visualization techniques. They believed repetition was the mother of skill. They always made sure the training protocol prior to a competition was much more challenging than the competition, making the competition the easiest part of the overall preparation. The Bulgarians believed that giving athletes layoffs from their training was responsible for a higher burnout rate than active recovery. Bulgarian athletes would continue to train year-round, albeit with certain times where acceleration or deceleration techniques were implemented. In the book, you say the Bulgarians used "unorthodox" training methods. How were they so far advanced compared to other countries throughout the world? The Bulgarians had highly specific objectives. For example, their whole focus was developing the strongest Olympic lifters in the world. They believed that eating a high-fat diet was the most efficient way to eat. They weren't concerned with possible health issues - just results. They also believed in a training session 12 hours prior to any major competition at 50 percent max of their regular training. They thought it prepared the physiology for war. What training methods of theirs did you implement after returning home? The Bulgarians taught me to always think outside the box, and to not be afraid to go against popular belief. They also taught me that in most cases, resting an injured muscle is not necessary, that it's in fact counterproductive. Implementing active recovery and continuing to train sped up recovery more efficiently and taught the body to adapt to its environment. How long did it take you to develop MCT? I didn't have my own training studio until my third year in business, which meant I had to train my clients at other gyms and health clubs. It was always a challenge to maintain a training tempo in crowded facilities. So I began creating small "micro-circuits." These circuits gave me flexibility to modify on the fly. So if and when machines or equipment were being used, it never affected the training tempo. When did you realize that you had something useful with MCT? I knew immediately I was on to something with MCT. I could always produce the kind of workout I wanted for my clients, no matter what the circumstance. You claim that MCT can get a person into the best shape of their life in 3 hours of training per week or less. How is that possible? 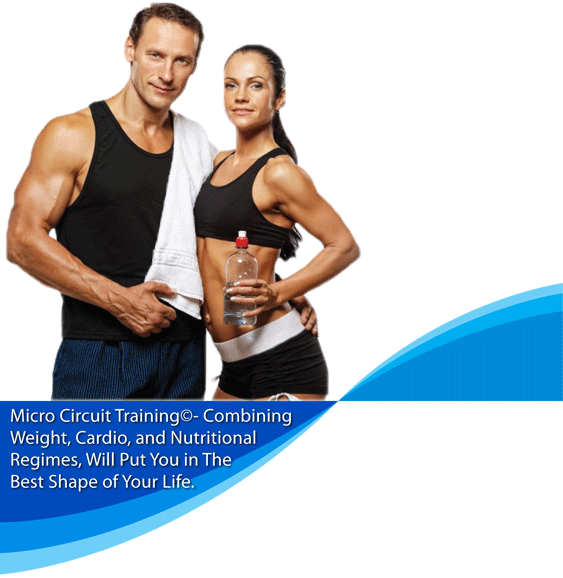 MCT is very efficient in that it's possible to train multiple body parts within each of these separate circuits. Also, it's possible to do a lot of work without overtraining the physiology. Have you encountered any reoccurring problems with MCT that you've had to rethink or fix on the fly? No recurring problems. MCT is so flexible that it's possible to modify on the fly during the actual training program. It's virtually impossible, for example, for the body to hit a plateau. What type of person usually follows an MCT regimen? Can it work for anyone? The beauty of MCT is that it can be used by anyone whether novice or highly trained athletes, young or old. Necessary adjustments within MCT can be made effortlessly to fit the specific objective. What's the greatest transformation story you've seen from someone who's completed MCT? Over the 30 years of training clients on MCT, I've had lots of success stories, too many to name just one. A couple of examples that stand out would include a client who had never been in a gym or lifted weights, and ended up getting in the best shape of their life. That gave them confidence to try new challenges thanks to the MCT experience. Another client, who suffered from health issues and setbacks, became depressed and had given up on life until they experienced MCT. This client just turned 90 and is still training on MCT. You've trained many celebrities and professional athletes throughout your life. Have any completed the MCT program? MCT is a training philosophy I implement with every single client. Anyone who trains on this program completes it, unless it's something they realize that they really don't want to do. Where would you like to see MCT training go from here? Have you defined a clear set of goals you would like the program to reach? My goal for MCT is simple, and follows the same goals that I have centered on in my personal training studios, which is to share this highly productive training experience with as many people as possible.